Many people planning a trip to Turkey ask the same question: what is appropriate to wear and what is not? In general, Turkey is a secular country where people can dress as they like, however, there are some unspoken rules which you’ll want to know before your visit. Turkey is a mix of liberal and conservative, where different regions, as well as specific neighborhoods in big cities, are more conservative than others. In general it’s a good idea to dress modestly so you can move about comfortably without sticking out. But if you’re going to be hanging out in a trendy neighborhood or traveling to a seaside town or beach, you can dress as you like. In a big city like Istanbul, trendy neighborhoods like Karaköy, Galata, Nişantaşı, Bebek, or Arnavutköy are very liberal when it comes to clothing, so you won’t have to think too much about what to put on. Don’t be surprised to see a lot of tattooed hipsters or fashionistas walking around these neighborhoods just like in any European city. 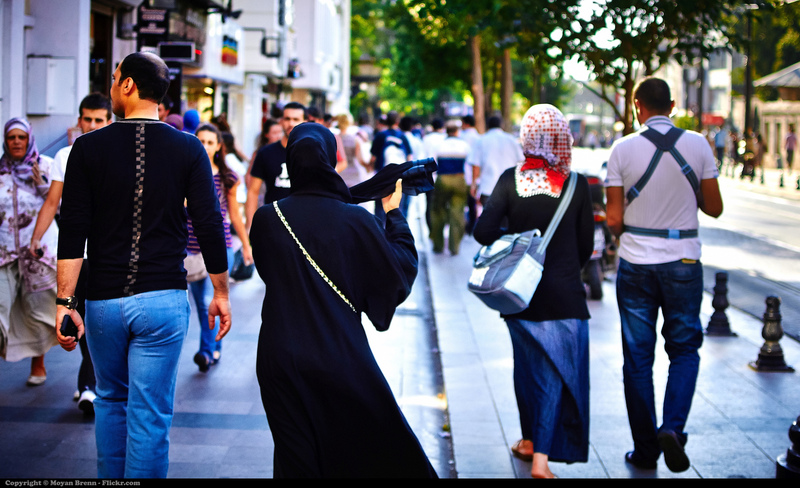 However, in other neighborhoods like Fatih, where the majority is more conservative, it’s better to dress more modestly in order to avoid long and uncomfortable stares. Save your short dress and heels for a nice dinner and drink at a trendy restaurant and put on something more modest for sightseeing in Sultanahmet or exploring the city. If you’re traveling around Turkey’s inland regions, it’s best to dress modestly and comfortably during the day, but to take something stylish along in case you go out to a nice restaurant or bar in a more liberal neighborhood. Formal attire is not usually required at any restaurant, however, in some upscale restaurants in Istanbul for example, the dress code is smart casual. You’ll soon notice that Istanbul’s wealthy enjoy wearing the latest fashions, so you can really get creative when you go out to a trendy neighborhood restaurant or bar. In order to show respect, thighs, shoulders, and the tops of the upper arms should not be visible when you visit a mosque. So opt for a knee-length skirt or dress and keep a cardigan handy when you’re planning to visit a mosque. You’ll also be required to cover your hair with a scarf when you enter, so make sure you either have a scarf with you or a hoody that you can just pop on to cover your hair. Major tourist attractions such as the Blue Mosque, offer scarves for visitors who come unprepared. 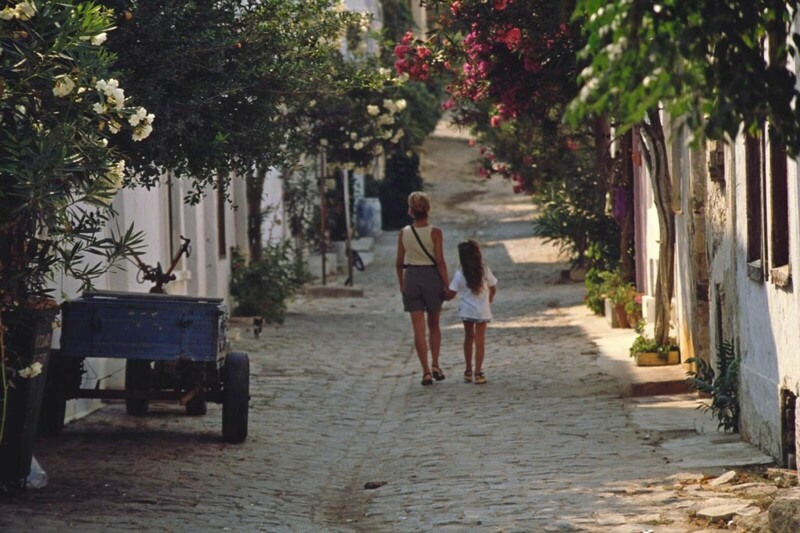 In the more rural towns around Turkey, the people will accept visitors as they are, but wearing something more modest (sleeved tops and knee-length dresses, shorts, or skirts) would be a more comfortable option in order to avoid stares. If you really want to fit in with the nice local ladies, you can choose to wear the traditional şalvar slacks and a top with sleeves. Summer towns such as Bodrum, Antalya, İzmir, Ayvalık, or Bozcaada are the most liberal when it comes to clothing, so you won’t have to think too much about what to pack. Short dresses and shorts, bikinis, flip flops, and tank tops are all fair game in these cities and towns, where the hot weather allows for plenty of exposed skin. Make sure to bring a nice dress along if you’re heading to dinner at a restaurant and opt for flat shoes because a lot of summer venues are located by or on the beach.